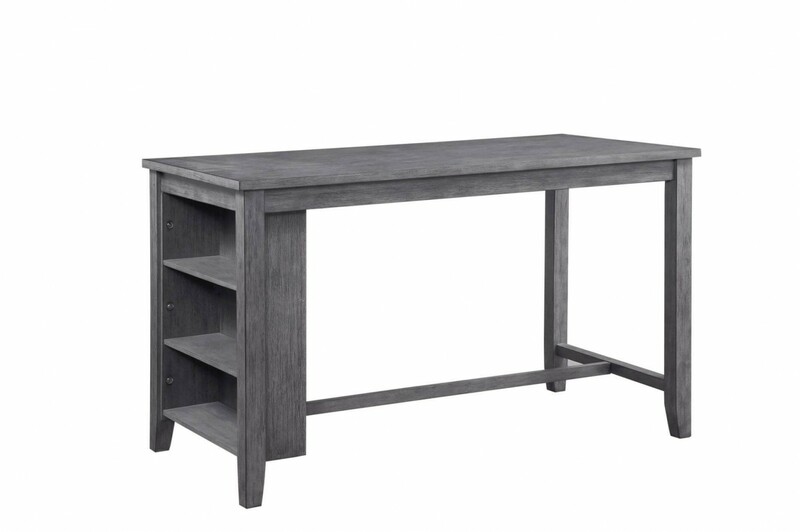 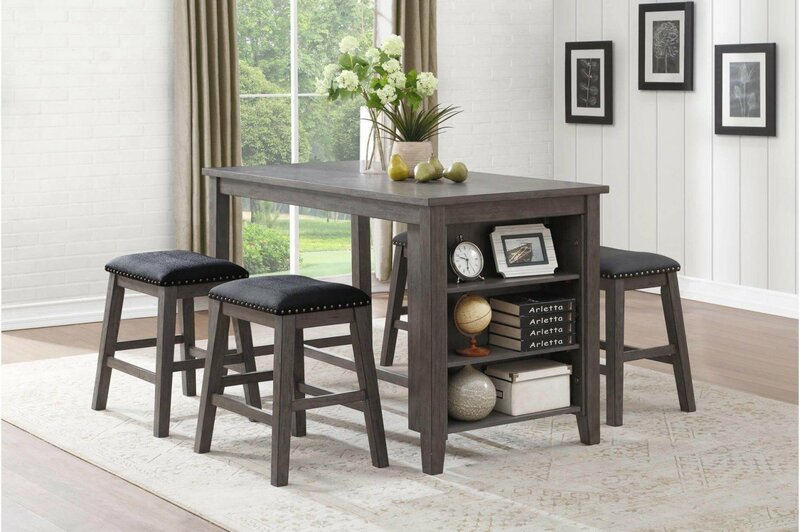 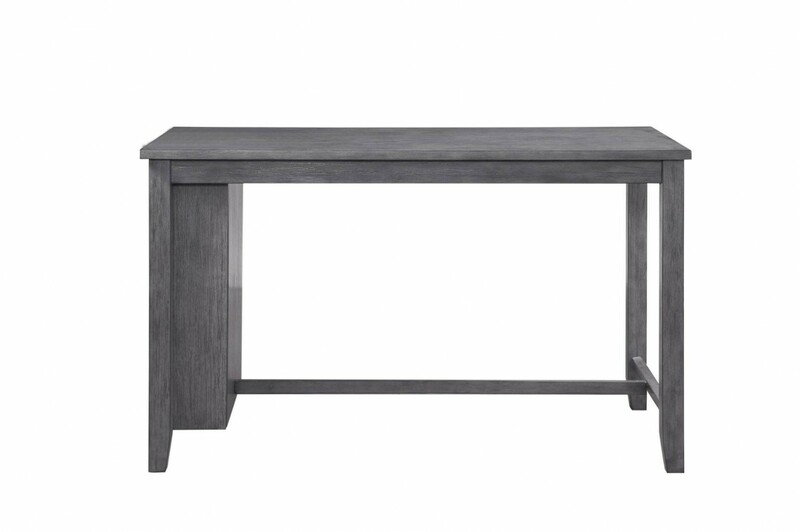 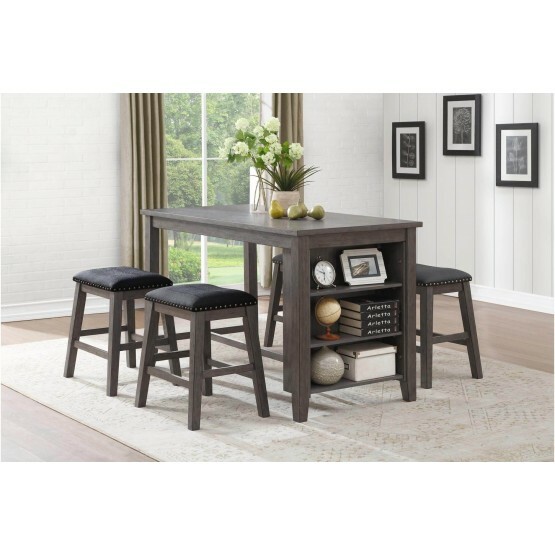 The multifunctional design of the Timbre Counter Height Dining Room Collection by Homelegance will be the perfect addition to your dining nook. 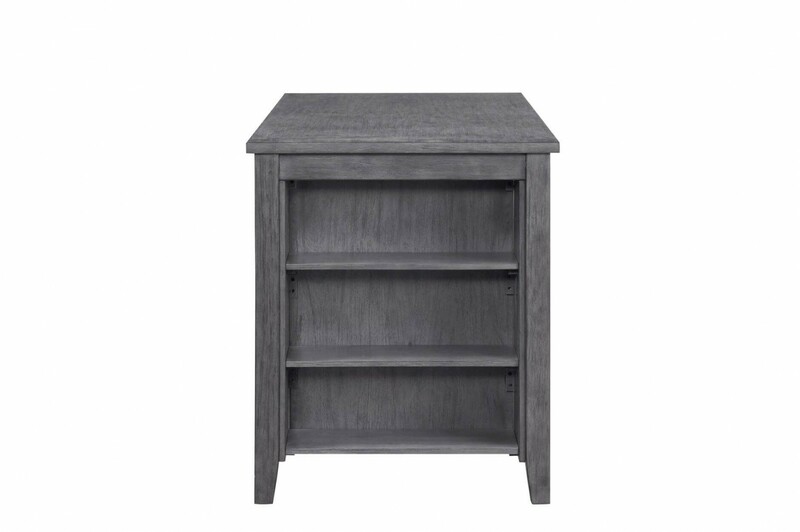 A built-in bookcase provides open display space to this counter height offering. 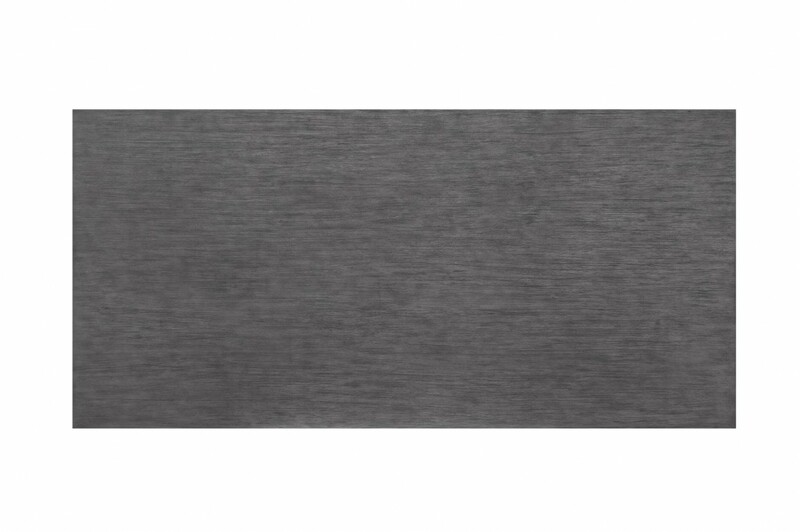 Wire brushed acacia veneer is highlighted by a gray finish. 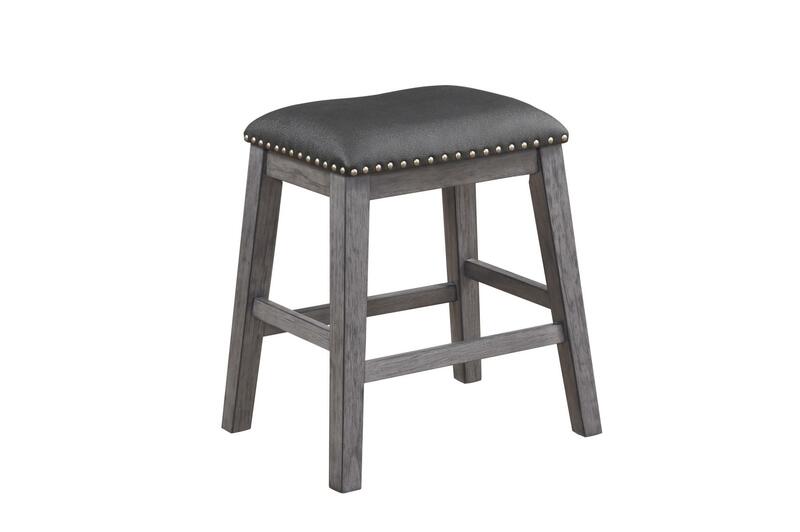 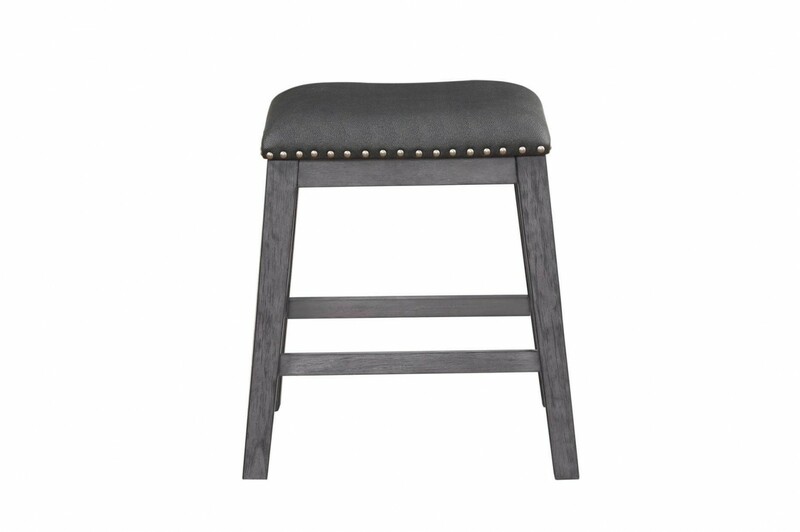 Textured vinyl seats top the accompanying stools and features nailhead accent for added decorative flair.